The High Quality Harness Is Made With Durable Woven Nylon And Uses The Strongest Buckles Available. It Provides Comfort For Your Dog's Sensitive Skin With Padded, Soft Straps. Older Dogs And Short Snouted Dogs Might Not Appreciate A Collar Around Their Neck That Can Strain Their Breathing But A Harness Distributes The Strain And Keeps The Pressure Off The Neck. It Helps To Discourage Pulling And Jumping. The Reflective Material Is Perfect For Dusk And Night-Time Visibility. Do Not Use With Tie-Out Stake. 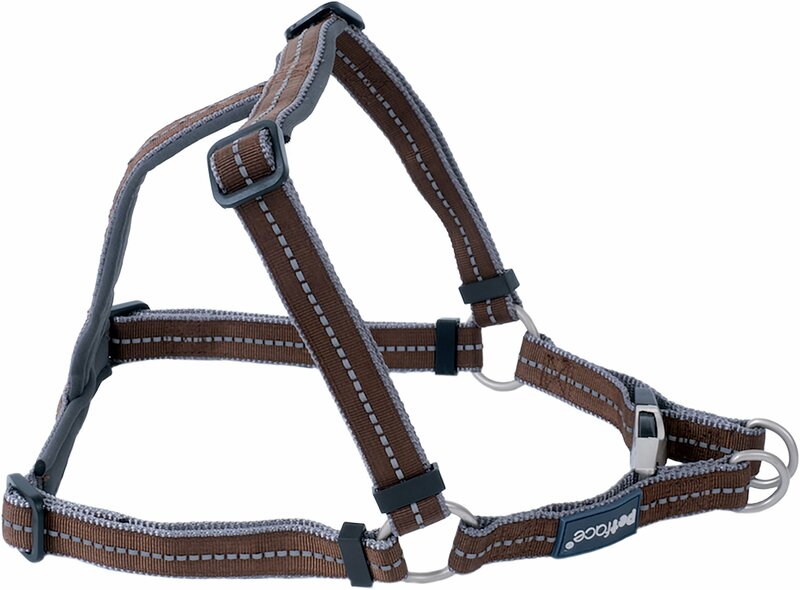 Package Includes One Medium Harness Is Adjustable 23.625 To 31.5 Inches. Color: Brown. Keep Out Of Reach Of Children. Imported.